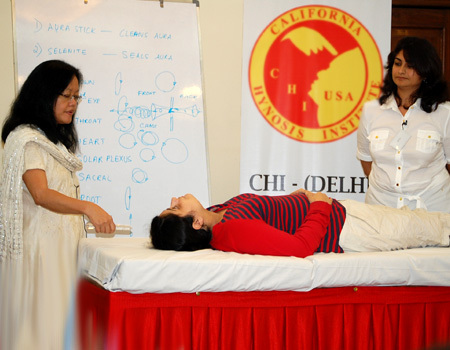 CHI-DELHI presents (click here –>) “Gift a Healing” Voucher..
Avail this voucher at CHI-DELHI Centre. CHI-DELHI, is taking the light far and wide, initiated by Dr Sunny Satin (CHI-USA) in India in the year 2000. Ritu Singh, CHI-DELHI’s founder, has a spiritually enriched experience of more than 15 years in the healing field.She is a Certified Trainer & Practitioner for Clinical Hypnotherapy & Past Life Regression Therapies from CHI-USA, Theta Healing® Master & Certified Instructor for advanced Theta Healing® Courses(Basic/Advanced DNA & Manifestation/World Relations/Intuitive Anatomy/Rainbow Children/Rhythm to a perfect weight), Access Consciousness® Bars Facilitator/Body Process Facilitator, Certified HypnoBirthing® Practitioner/Childbirth Educator & HypnoBirthing®Fertility Consultant. She is a member of National Guild of Hypnotists USA,European Association of Regression Therapists(EARTH)Netherlands, International Association of Clinical Hypnotherapy USA,American Hypnosis Institute USA,HypnoBirthing® Institute USA and THInk®USA. She has conducted numerous training programs/workshops on Self Empowerment, Clinical Hypnosis, Theta Healing®, Behavioral Resolutions, Access Consciousness® and many modalities at abroad places like New York (USA), Bhutan and many more and at PAN India level places like Gurgaon, Delhi,Noida,Faridabad, Agra, Jaipur, Bulandshahar, Surat, Chandigarh for Management Students, ICSI, FMS, IMA, Delhi Blind School, Medical Centres, Clinical Psychologists, Teachers with Non-Invasive methods and gentle approach, she has been able to help thousands of people change & transform their lives happily, with renewed self confidence & functionality. Her Achievements and expertise on the above-said have often been covered by Digital/Print media. 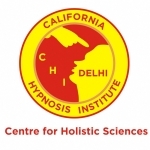 CHI-DELHI also has an experienced team of other healers/facilitators/trainers who have been growing on the path of healing and self-empowering people to create greater choices and possibilities in life. It has been a remarkable experience with Dr. Ritu. The hypnotherapy and Theta healing sessions are really so empowering. I decided to empower myself and enrolled myself for hypnotherapy and theta healing courses and it changed my life completely. I found my life’s purpose. A testimonial to testify my evolution in life journey … words are limiting, however words give a glimpse into it. Ultimately words spoken or written are the only medium to express thoughts :-). Though we are all on a life journey, realization of my journey came to me with the passing on of my second born. I found answers to all questions that spring up during such times in the spiritual dimension that hadn’t existed for me till then. I began exploring this dimension through books. Eventually I took training in Hypnotherapy. I had found a medium which may appear beyond what the five senses call logic and this medium was making maximum sense in helping me process and compute LIFE. After a point, my unfolding journey as a seeker would reach brick walls. Its an internal feeling where I knew that what I knew uphill then was not helping me cross the mental barriers I was feeling in relationships or levitra professional daily life. Its an ambiguous feeling where you know that what you have read to be the way to follow is not the way you are able to follow in practical life. Where I had come to an awareness of what and how the state of idealism ( or shall I call it Divine Touch ) makes you be in daily life. Yet the knowledge was not generating that desired response, the experience of the Divine Touch from within. Around this time I “re” discovered Ritu ( who I had met during Hypnotherapy days ) and as time revealed she went on to be the medium who aided in building that bridge between my knowingness of that ‘Divine Touch’ to the experience of the ‘ Divine Touch ‘ :-). When I experienced it, I knew … bingo ! That this touch was precisely what had been missing :-). So Theta Healing and Ritu, the bestest teacher ( viagra soft and I won’t much care for the appropriate use of grammar here ) were the precise combination that helped me cross those brickwalls of mental barriers. Through my personal sittings with Ritu and the workshops, sufficient deep rooted beliefs had been removed from my subconscious mind and replaced with Creator’s perspective of love and joy that I could feel a quantum shift within. Those same issues that seemed so challenging earlier, I could traverse with peace :). Ultimately don’t we all seek peace the most :)? Ritu’s what I would call gentle persistency gives the client courage & comfort to go that extra mile to dig out his own issues that ultimately offers relief to himself. Isnt that wonderful :)? Was really touched by whatever I have learnt in Hypnotherapy and Regression therapies. Thanks again Ritu Ji for leading us in such a domain where unfortunately only few people know about. Hope that more and more people will start using Hypnosis for self as well as on others to have the benefits.